I decided I wanted to do monochrome this week. 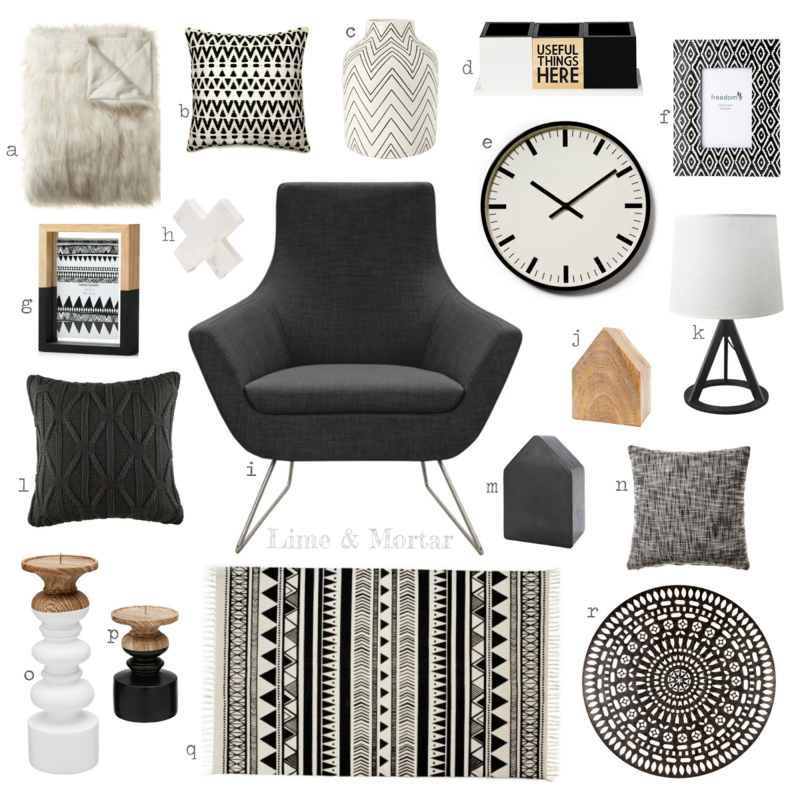 Then I got searching and was noticing lots of aztec patterned items and loving the look so this monochrome board isn't the usual modern minimalist board. I call this tribal monochrome! If you love this look it's all from 3 stores only! I love it all but the rug and cushions are my favourite. You always find the best things!